Nothing says party like pancakes, butter and caviar. 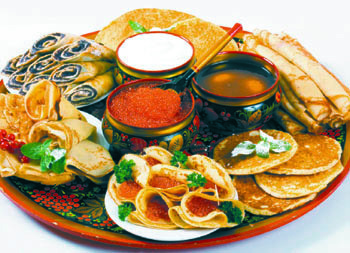 At least, not if you happen to be with Russians the week before the start of Russian Orthodox Lent, called Maslenitsa. Topped with sour cream, caviar, berries or jam, blinis are anyway you like them. Why blinis? Their round shape and warmth were meant to symbolize the sun and the victory of warm Spring over a long and cold winter. 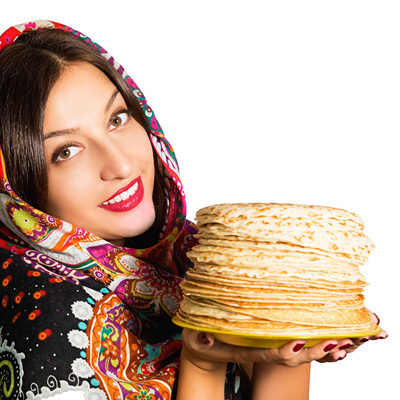 Russian Maslenitsa is the theme of our February Saturday Social. We'll eat pancakes, enjoy each other's company, meet and greet new members.` often times many of them travel a very long distance for the opportunity to meet you personally, not virtually. We all know that it is a big difference. It had changed the lives of many and it can change yours. Let's welcome the Spring, the new cycle of life, new romantic relationships and new matches! Bring your pancakes and caviar to share! Show off your traditional or modern Russian/Ukrainian outfits! Say Goodbye to the winter loneliness and say Hello to the spring love and romance! All EI clients, Get to Know Us members and matched couples are welcome!